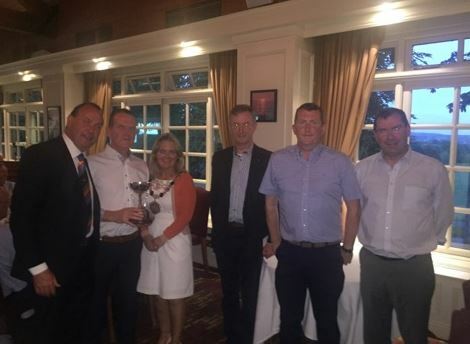 The Kilkenny Chamber Golf Challenge took place on the splendid Mount Juliet Golf Course on Thursday 19th May. The event saw some 100 golfers compete for the coveted 1st Prize of a place in the BITA Ambassadors Challenge in Foxhills, London playing for Ireland against England in a Ryders Cup format on 30th September. 1st Prize: Tippo International Team. Paddy Martin, Colwyn Martin, Paul Maloney, Greg Cooke. 2nd Prize: Hibernian Hotel / Left Bank Team. John McNena, Aidan McCarrick, Jim White, Niall O’Gorman. 3rd Prize: O’Neill Foley Team. Alan Seery, Marcus O’Hagan, Eoin Garry, John Joe Farrell. If your business is seeking to expand into the UK market and you would like to know more about BITA, contact Kilkenny Chamber on 056 7752767.